At Immanuel High School in Reedley, “the play’s the thing,” as William Shakespeare said. Students are dedicated to making the drama and musical shows the best possible experience for families and the community. 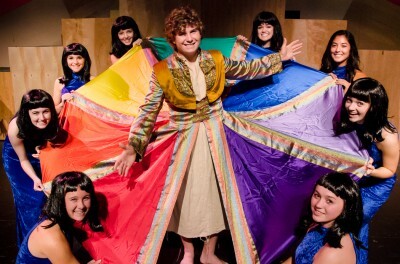 Joseph and the Amazing Technicolor Dreamcoat comes to the Immanuel stage and is a musical that will keep children engaged, but will also give new insight on the story of Joseph from the Bible. 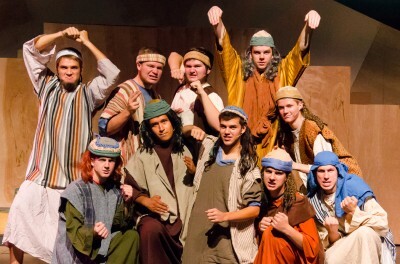 Joseph tells the story of Joseph and his twelve brothers, found in the book of Genesis. Joseph was Jacob’s favorite son. His father, Jacob, made his son a colorful coat that made the brothers green with envy. Out of jealousy, his brothers beat him and sold him into slavery. As viewers watch the story unfold, there are four narrators that joyfully recount the story in song. The four Narrators are Emily Marshall, Maisey Huebert, Esther Bucher, and Annie Regier. John Fernberg will carry out the role of Pharaoh. The character of Jacob, Joseph’s father, will be played by a special guest each night. Immanuel High School invites you to come and celebrate with the cast as they sing and dance! Enjoy watching this audience favorite and experience what Immanuel Music has to offer. Opening day is November 16 at 3 p.m. and 7 p.m. Additional performances include November 17, 23 and 24 at 3 p.m. and 7 p.m. and November 19 and 21 at 7 p.m. Tickets are $12 for adults and $8 for students, and are available in advance at the Immanuel Office or at the door! We’ll see you there! More info can be found on the school website. Check out more of KRL’s Arts & Entertainment articles here.